Francis Hopkinson was a man of many interests, including politics, law, science, literature, the arts, and music. He was the designer of the Great Seal of the United States, a signer of the Declaration of Independence, and a federal judge. Taking a dynamic role in the music at Christ Church, he served as an organist, composer, and teacher of psalmody, and outside the religious institution he was an active member of the community of amateur and professional musicians in Philadelphia. Hopkinson and these men would gather to perform music privately in their homes and publicly in concert, and it was through their collaboration that the art music culture of the colonial city took shape. This document, marred with brownish spotting that preservationists refer to as “foxing,” is an original manuscript of "My Days Have Been So Wondrous Free." Although the title and lyrics are faded, the notation is still legible. A close look reveals shadowlike impressions left by what is probably ink that bled through the opposite side of the page. The manuscript can be found in a collection of Francis Hopkinson's works at the Library of Congress. Hopkinson’s initials, “F. H.,” can be seen in the upper left corner of the manuscript. If it were not for a Hessian officer’s appreciation for Francis Hopkinson’s library, the British would have likely burned his house to the ground in 1778. 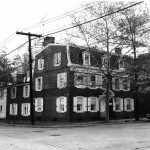 Instead, it was spared and remains standing at 101 Farnsworth Avenue in Bordentown, New Jersey, listed on the National Register of Historic Places. The Francis Hopkinson House was constructed in 1750 and in 1768 it became the home of Hopkinson and his wife, Anne Borden. In 1850, Flemish bond brick, a pent roof, and a patterned end wall were added, and in 1902 its gabled roof was replaced by a mansard one. In the early twenty-first century, the Hopkins House was used as office space. “My Days Have Been So Wondrous Free” is a delicate air in the genteel style of the period. The lyrics, by Anglo-Irish poet Thomas Parnell (1669–1718), speak of an innocent, pastoral joy, while Hopkinson’s music is light and simple. The song was not published in Hopkinson’s lifetime, nor is there any evidence it was performed publicly. It may have been, but more likely it was played in the drawing rooms of the elite circle of Philadelphians to which Hopkinson belonged. 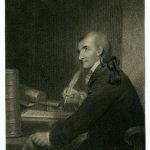 Francis Hopkinson was born into a well-to-do Philadelphia family and in 1757 was a member of the first graduating class of the College of Philadelphia, later the University of Pennsylvania. He participated in musical activities at the college and elsewhere in Philadelphia, which was then just beginning to see the emergence of a public musical life. (The first documented public concert in Philadelphia was in January 1757.) 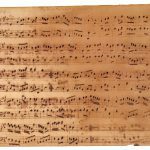 The nature of Hopkinson’s musical training is unknown, but he likely studied with James Bremner (d. 1780), an immigrant English musician who settled in Philadelphia in 1763. Like his friends Benjamin Franklin (1706–90) and Thomas Jefferson (1743–1826), Francis Hopkinson was a renaissance man with a wide range of interests, including politics, law, science, literature, the arts, and music. He designed the Great Seal of the United States and probably designed the nation’s first flag. While working professionally in law and government, he wrote poems and songs and took an active role in the music at Christ Church, for which he published a collection of psalm tunes, hymns, and anthems in 1763 and where he taught psalmody and served as organist in the 1760s and 1770s. He was also a key member of a group of Philadelphia musicians of the period that included both gentlemen amateurs such as himself and Governor John Penn (1729-95, grandson of William Penn, [1644-1718]), and European immigrant professional musicians who were active in the city. Gathering to perform music both privately in their homes and in public concerts, these men shaped the art music culture of the colonial city. A staunch patriot during the Revolutionary War, Hopkinson wrote two songs that became popular rallying cries: “Battle of the Kegs,” a satirical song that mocked British soldiers’ firing on kegs of gunpowder Americans had sent down the Delaware River to harass British ships, and “The Toast,” a song in praise of his friend George Washington (1732–99) and the American cause. After the war, Hopkinson served as a federal judge and member of the Constitutional Convention of 1787, while also continuing his musical activities. 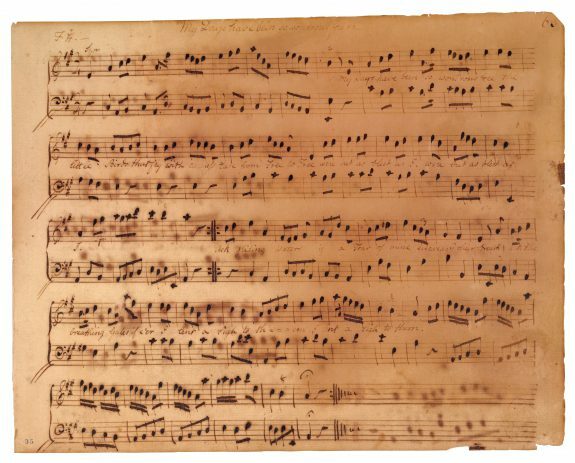 In his preface to Seven Songs, Hopkinson stated that “I cannot, I believe, be refused the credit of being the first native of the United States who has produced a musical composition.” He probably referred to “My Days Have Been So Wondrous Free,” which did not appear in Seven Songs but existed in manuscript form in a 1759-60 music book (now held at the Library of Congress) in which Hopkinson copied popular and classical pieces of the day and also recorded some compositions of his own. While never a “popular” song in the sense of being widely known or performed, “My Days Have Been So Wondrous Free” is nevertheless an important work in the history of American popular music, the first documented secular song written by a native-born American. Crawford, Richard. America’s Musical Life: A History. New York: W. W. Norton & Co., 2001. Ogasapian, John. Music of the Colonial and Revolutionary Era (American History through Music). Westport, Conn.: Greenwood Press, 2004. Sonneck, Oscar George Theodore. 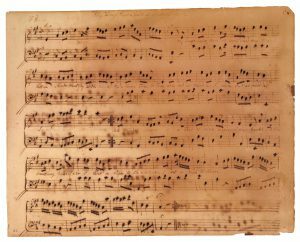 Early Concert Life in America (1731–1800). Leipzig: Breitkopf & Hartel, 1907. Sonneck, Oscar George Theodore. 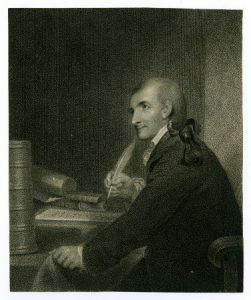 Francis Hopkinson, The First American Poet-Composer, and James Lyon, Patriot, Preacher, Psalmodist (1735–1794): Two Studies in Early American Music. Washington, D.C.: H. L. McQueen, 1905. Francis Hopkinson’s original music manuscript book containing “My Days Have Been So Wondrous Free,” Library of Congress, Washington, D.C.
Francis Hopkinson musical manuscripts, University of Pennsylvania Rare Book and Manuscript Library, Van Pelt-Dietrich Library Center, 3420 Walnut Street, Philadelphia. 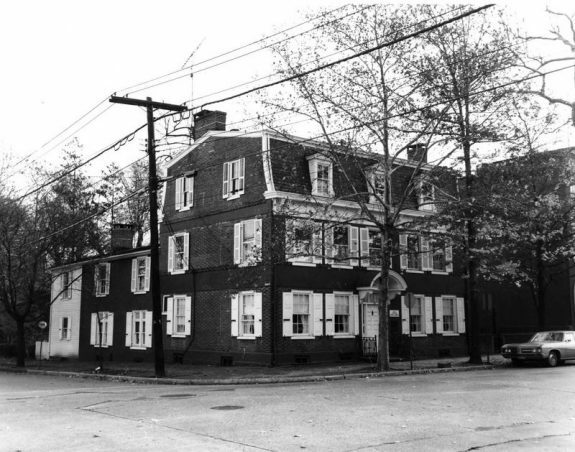 Hopkinson Family Papers, Historical Society of Pennsylvania, 1300 Locust Street, Philadelphia. Francis Hopkinson House, 101 Farnsworth Avenue, Bordentown, N.J. (where Hopkinson lived in the latter part of his life, a law office in 2016).